Please read! You may be next! 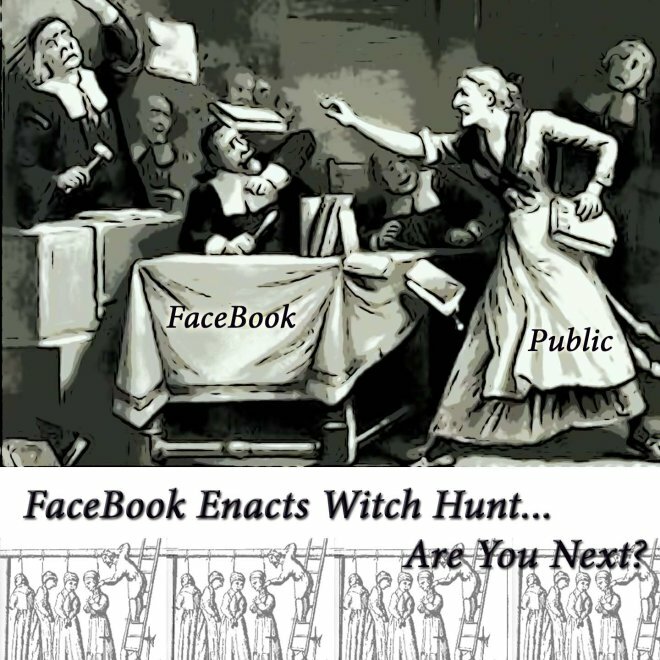 FaceBook Enacts Witch Hunt — On October 16th FB demanded I put my “real” name on my personal account. At that point I had to make a choice — ditch over 4,600 people on my personal account and 17,000 followers by refusing, or change my name. If I did not change my name — right then and there — I would be booted off FaceBook. Most frustrating, there was no contact information to argue the point. I know that there are several people who count on my daily posts, and I felt it was my responsibility to continue — so, I sighed, put my real name in the box and hit the button. I have been having quite a time of it lately! For a while there, a couple of weeks ago, I was having trouble sleeping and would be awakened in the dead of night with my mind racing. It took me a while to realize that it was the time of year plus a Mercury retrograde with some crazy eclipses and solar storms that were doing it to me. I had this feeling of impending doom that something horrible was about to happen! I finally figured that, being a medium, I was picking up on some restless spirits, and they were unhappy ones at that! This time of year is a prime time for the spirits to communicate and that’s what was happening to me. My psychic phone was ringing off the hook! When I finally started setting up extra shields at bedtime and calling in more angels I started to sleep better. The period around Samhain or All Hallows Eve is a time when the barrier or veil between the dimension we live in and that of spirit becomes thinner or easier to pass through. The time of Beltaine in the spring is also such a time. People are into the scary, spooky, Ouija board, horror movie mode big time! Combine that with the thinner spiritual veil, and people are just asking for some low energies to start hanging around and maybe causing trouble. There are also some impish, fun-loving entities who may find our parties and costumes attractive. The only time I seem to have orbs show up in photos is around this time of year when I am in costume and having fun. As I wrote about in a previous post, orbs are visual balls of light that indicate spirit presence. By keeping the mood light and fun I don’t think you are in too much danger of attracting something dark and harmful. Personally, I prefer to treat the time of Samhain as a time to honor my ancestors. It is a serious time for lighting a candle and saying some words of thanks for all the ancestors have done to protect and teach throughout the preceding year. I love dress up and trick or treaters coming to the house. 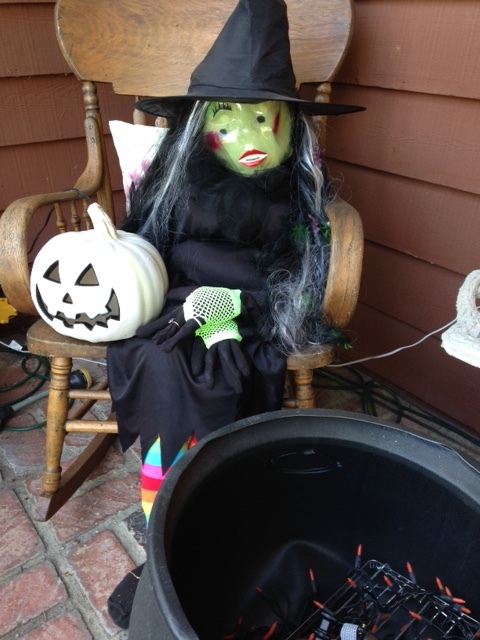 I have a little witch who sits on the porch to greet the kiddies and they like to have their pictures taken with her. And, of course, a real witch answers the door! What could be more fitting? This year we are having a costume party and I know it will be a blast. What I would like to recommend at this most spiritual time of year is to go easy on trying to contact spirits willy-nilly. I believe that spirit boards, also called Ouija boards, are a danger in that they open portals that are easy for spirits to pass through uninvited. Sure, you may be trying to contact Aunt Gertrude, but someone else may squeeze through instead. It’s a lot harder to get rid of a spirit than it is to invite them in, and there’s no telling what sort of mayhem they will cause in your life once they have attached themselves to you! Pagans are generally a friendly group of people who are not into cruelty or harming others. Don’t even get me started on how the whole idea of a “wicked old witch” began! Dwelling on the macabre and cruelty, as a lot of horror movies do, is setting the scene for some scary spirits to come and feed off your fear. I know many people get a rush from seeing these movies and visiting over the top “haunted houses”, but just realize that the energy you give off when you experience that rush is sending up a beacon to some odd energies that you may not want hanging around you. I don’t want to throw a damper on your Halloween fun! I love this time of year! 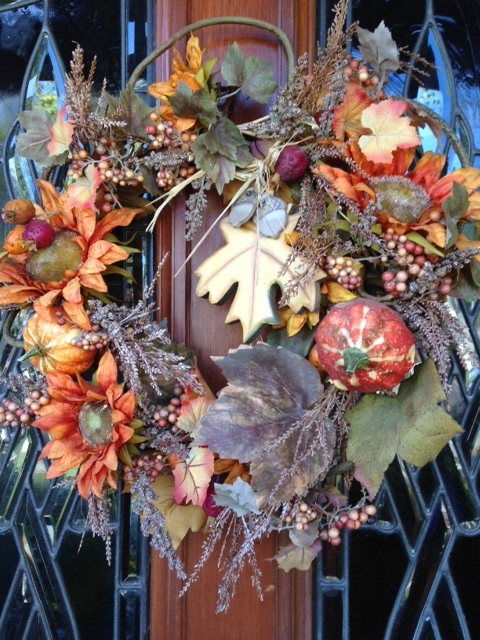 Just be prepared to set up extra shielding and protection if you go hang around cemeteries. A good witch is always prepared. 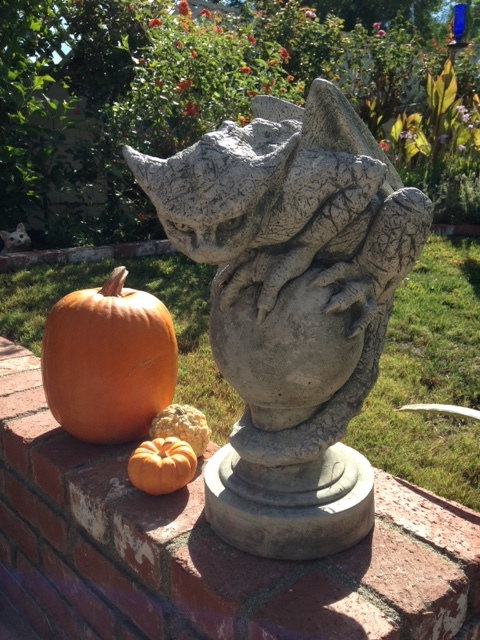 Oscar the Gargoyle will be watching over my house and yard as he always does. Good ole’ Oscar! I wish you the most blessed Samhain! Take time to honor the ancestors and enjoy this time of the thinning of the veil!